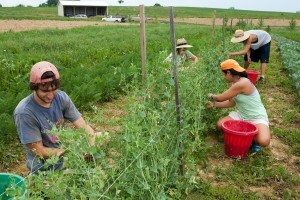 Student employees harvest beans at the Dickinson Farm in Boiling Springs, PA. 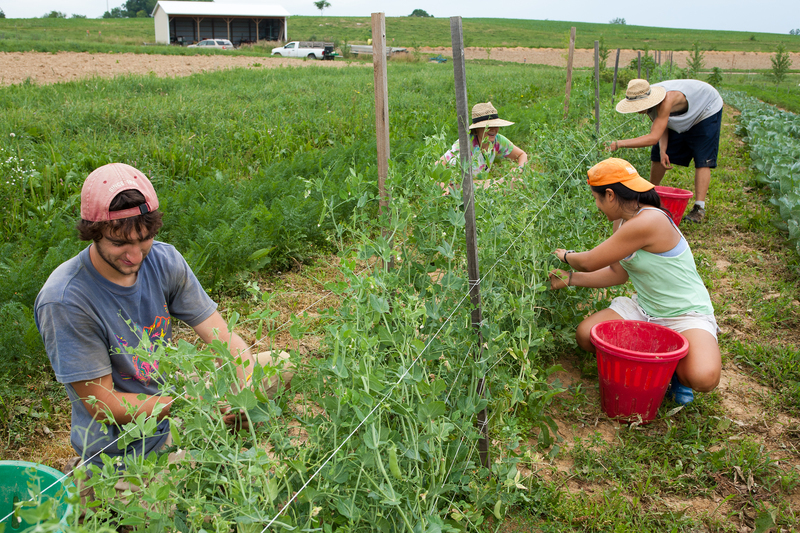 The College Farm has not always been the 80-acre educational and food production program that it is today. The Farm actually began as a small student-run garden. In 1999, two Environmental Studies majors initiated the Student Garden at Dickinson College. Their interest in researching sustainable agriculture and organic gardening was cultivated on a small plot of land donated by the college. As their shared enthusiasm for learning about sustainable food production grew, more and more students started to get involved. Students used the student garden as a venue for independent research as well as a place to connect with others who were like-minded. As interest in the student garden expanded, the Environmental Science department sought a way to ensure its permanence. 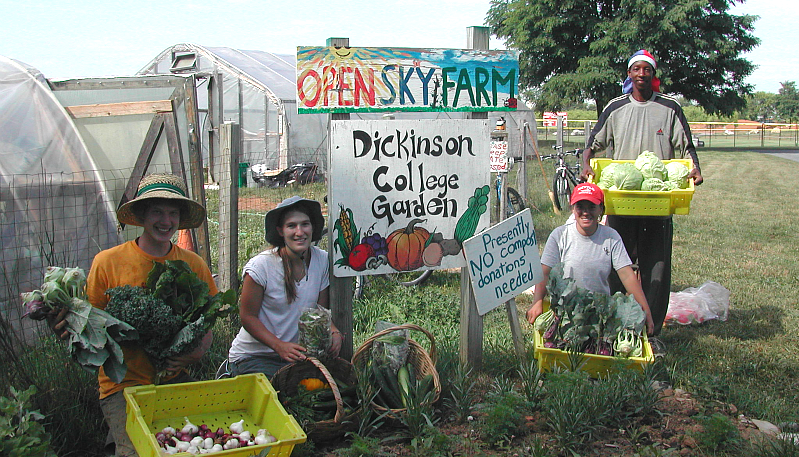 In 2000, the Environmental Studies Department was awarded a three year Innovation Grant by Dickinson College to formalize the Student Garden Program. 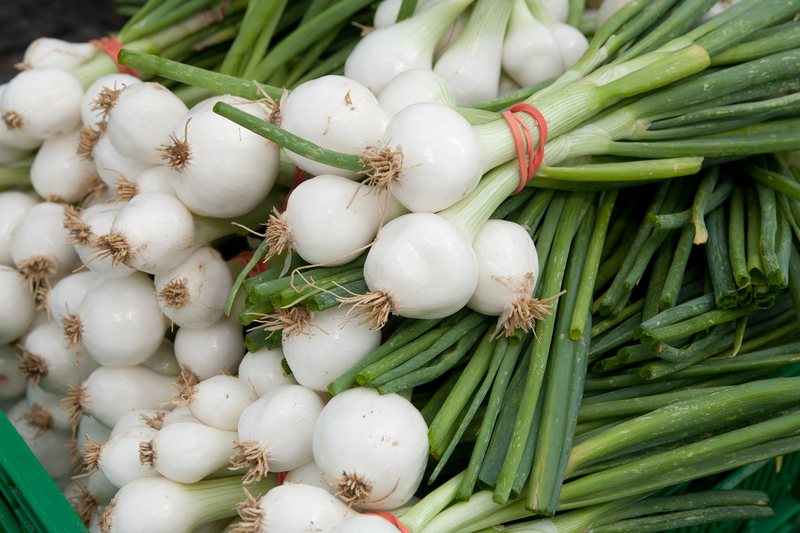 The students involved with the Student Garden at that time worked towards expanding the garden and started selling organically-grown vegetables at the local farmers’ market. As the number of students interested in the garden grew, the club Students Interested in Sustainable Agriculture (SISA) was formed. Students came together to work, discuss issues pertaining to sustainable agriculture, explore food production from the ground up, and to share the season’s harvest. 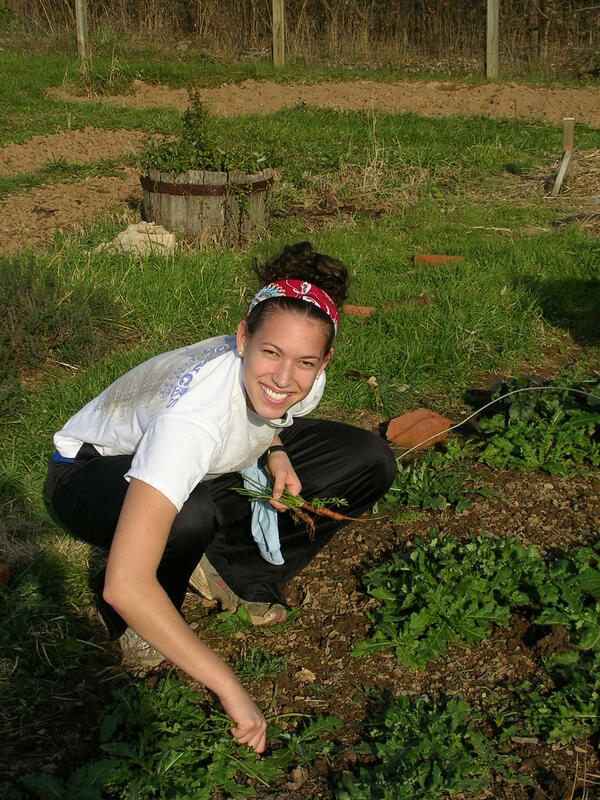 By 2002, the Environmental Studies Department hired a part-time Student Garden Coordinator who worked with students and provided longevity to the initiative. In addition to daily gardening work, students organized community outreach projects, field trips to local farms, educational workshops relating to food and food production, as well as research projects. 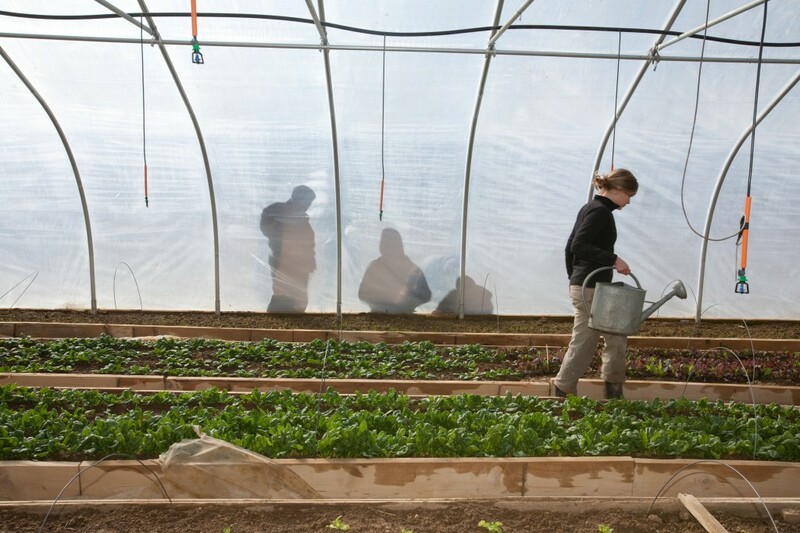 From 2000 to 2006, the Student Garden grew from two 100-square-foot garden beds to a half acre mini-farm that was intensively managed and independent of any mechanization. Students contributed their labor to help realize a garden that was almost 100% self-contained; growing cover crops, managing compost piles, growing seedlings, and managing soil health through crop rotation and green manures. By 2006, the Student Garden was at full capacity, utilizing every square inch of the half acre plot of land. Student interest in the garden was very strong, and both student gardeners and volunteers worked together to maintain the land and its crops. In 2007, the Student Garden Staff and Environmental Studies Department proposed to Dickinson an idea that would expand upon the success of the Student Garden and meet the growing interest of students to see more local food in the College Dining Hall. The proposal centered on an under-utilized 187 acre plot of land, owned by the college, that was situated 6 miles from campus. By transitioning the Student Garden Program to a farm venue, the opportunities to support student and faculty interests, supply the College Dining Hall with fresh ingredients, and promote sustainable land stewardship were limitless. Dickinson supported the proposal, and in early 2007, the College Farm tilled up ground and planted its first seeds. This farmland, located a short drive from campus in Boiling Springs, PA, has belonged to the College since the 1960’s. Since then, it has been leased to area farmers who have raised a traditional rotation of corn and soybeans. The College Farm program plans to expand its operation over time and currently shares the 187 acres with a second-generation dairy who has been farming the ground since the 1980’s. This past autumn, the Farm celebrated its 10th harvest season. The program is till going strong under the management of Jenn Halpin and Matt Steiman. We look forward to seeing the continued growth of the farm program as it continues to broaden its reach across the Dickinson campus and in the greater agricultural community. Learn more about the transition from the student garden to the current farm in this article by Farm Manager, Jenn Halpin. A student intern, Claire Fox, waters seedlings at the Dickinson Farm.